​Most Computers & electronic devices contain circuit boards and other components inside that will contain many types of precious metals including Gold, Platinum and Silver. 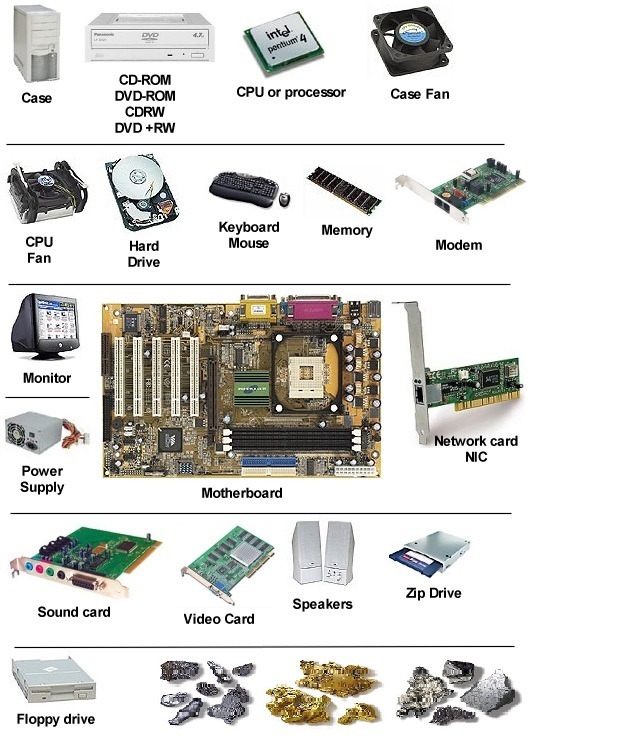 Computer components containing valuable metals include Motherboards, connector cards, graphic cards, memory cards, CPU's and other various small electronic components, connectors/cables & Hard drives. 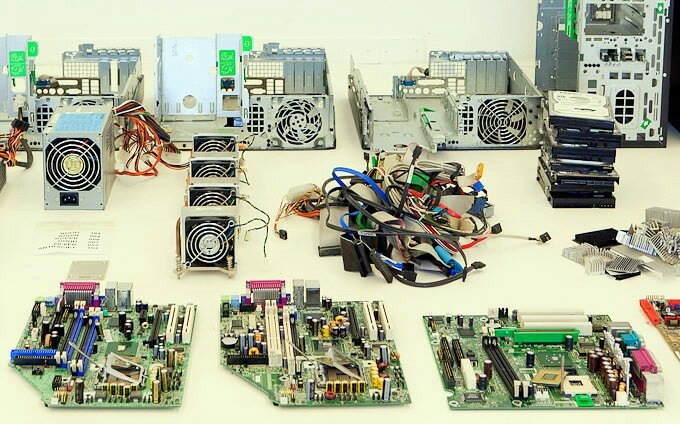 Note: Aerospace / defense, scientific / test, and telecommunications computers will typically have Circuit Boards and other components with a higher level of precious metals (especially heavier gold plating) due to the need for higher quality and reliability. Magnesium, Radium, Barium, Niobium, Osmium, Cobalt, Manganese, Titanium, Hafnium, Tungsten, Germanium, Gold, Silver, Copper, Mercury, Bismeth, Silicon, Gallium, Zinc, Iron, Sulfur, Phosphorus, Cadmium, Palladium, Tantalum, Platinum, Aluminum, Carbon, Lead, Nickel, Boron, Chromium, Potassium, Fancium, Casium, Sodium, Lithium, Calcium, Nitrogen, Oxygen , Arsenic, neodymium, Selenium, & Tin.